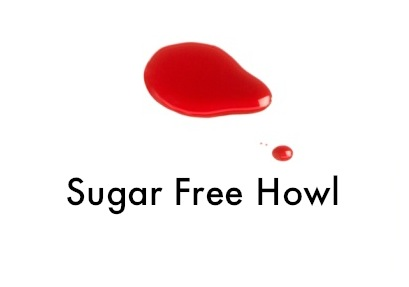 Sugar Free Howl : If you ever need anything, please don't hesitate to ask someone else first. If you ever need anything, please don't hesitate to ask someone else first. I've been able to stay relatively positive for the last few weeks. Traffic and keying through an automated system on the telephone and other common annoyances still peek their heads around the corner to see if I'll react. I'm feeling good! I'm being positive. I don't have that sinking feeling anymore. That was until I watched Montage of Heck, the HBO documentary on Kurt Cobain. Kurt Cobain looked like the kind of guy I would date in college. He exhibited a style I occasionally emulate late into my 20s. His hometown of Aberdeen, Washington has a welcome sign just outside the city limits that reads "come as you are." One of Nirvana's first shows was in the Mods lodging complex on the Evergreen State College campus. His former home on Lake Washington Boulevard is a coveted place for visitors to slowly pass in the car while gawking at 15 miles per hour. I don't really remember much from 1994. I was developing an interest in baseball and horses while Seattle was becoming a wet refugee camp for the depressed and angsty. Some of us could afford the new advances in appropriate outdoor equipment released from REI to shelter us from our famous weather patterns. Others were left wearing cheap ponchos while thumbing it near onramps to I-5. The Mariners were on the up and up, and I was learning about the skeletal system in my first grade classroom. My favorite band was the Beatles, and I wanted to be a truck driver when I grew up. 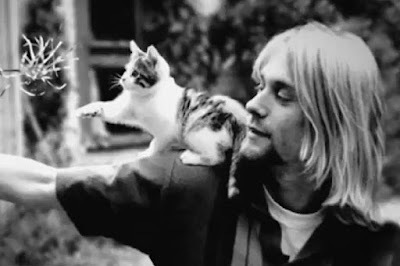 Montage of Heck began with an introduction to Kurt's parents, who were residents of Aberdeen. Aberdeen hasn't changed much except for the encouraging welcome note of originality upon arrival. Houses are small, streets are on a very precise grid. Logging, longshoring, and other types of transportation related industry continue to be Aberdeen's strong points while the bluest of collars remain scruff and thick with community and union. What started with cocktail parties at the Cobain household twisted into isolating in a bedroom with the curtains drawn to hide the awkwardness and almost illegible handwriting. There's a sense of romanticism when it comes to writing under the influence of alcohol. I wanted all of the writing I ever produced to be shaped by Hemingway-esque habits, porte wine in the morning and cigarette ashes from smoking incessantly indoors, a cat who is simply happy staying asleep and dreaming at my feet. If I was going to be a successful writer, I was to drink wine from an object not normally used for drinking while in my bathroom, eat microwave dinners on the floor, celebrate some sort of post-modern beatnik madness from behind another poetic pity party. I never amassed collections of artwork anthologies of flora and fauna to be used as references. I simply got shitfaced and wrote about how sad I was while taking breaks for a cigarette every ten minutes. The "write drunk, edit sober" credo was too much for me, so how was I going to be a real writer if I could only do both while sober? In retrospect, no longer feeling the need to try something called a "dessert wine" helped me. "Write life, edit life." Or something. Above all else, I didn't blow my face off with a shotgun and have the posthumous misery of being buried in Ketchum, Idaho. There's a phenomenon known as "junky pride," an attitude heroin addicts exhibit because they did the hard stuff, and they knew it. Even though we're all going through the same struggle of addiction, heroin addicts remain on a pedestal supported by muscling, injecting needles in the webbing between toes, and overdosing and coming back to life. But Kurt never exhibited "junky pride" in any of the footage shown in the documentary. The film touched on his heroin use throughout his life, everything from his journal excerpts to interviews with his former girlfriend and calamitous wife. Unaware of being filmed by Courtney Love, Kurt would nod off while high and holding his only daughter, Francis Bean. Courtney would snap at him from behind the robust videocamera to stay awake and he'd mutter, "I'm just tired..." She knew, as a bystander and a drug user herself. It was strange to watch the rampant progression of addiction within someone who was so prolific and influential to so many, especially in Seattle, the birth place of this soggy misfortune. His mother commented on how he was getting really bad. MTV News footage from the 90s showed a candid but emotionally distracted and drowning Kurt. Everyone around you knows about your addiction but you, and everyone knows how bad it's really getting but you. I liken it to a car accident in a heavily populated area. People leave their windows to view the wreck from their porch, and the only thing they can do is watch or wait. Whenever I picture Kurt Cobain, I don't think of combat boots or seedy hotels on Aurora or sweaters in various stages of stretching. There is a series of black and white photographs of him and a couple of patchy kittens. He is quietly awestruck, solidified in a grayscale garden. It's unknown whether or not he's sober in the series of memories. What I do know is that sobriety has leant me opportunities to be amazed by simple things: the perfect temperature of a room, a crisp t-shirt, hitting all of the lights on a busy arterial during rush hour, clean sheets, a kitten who is experiencing human shoulders for the first time. Maybe Kurt was high. Maybe he was in that tired state of euphoria when interacting with some tiny whimsy. In early sobriety, I was always tried to happiness within simple things. But when I drank, I would always become complex and learned, spouting philosophies from whatever information I retained from the Wikipedia entry I read a few weeks back. I created inside job theories out of outside jobs. Drinking became my Black Phillip, a demon within my own demonology. There is no amazement with a kitten crawling up your arm when you gave in to Old Crow and its pungent medicine show. I can understand why Kurt's ashes were scattered in numerous meaningful places. Throngs of flanneled transients playing "All Apologies" and "Polly" on a bootleg guitar missing both E strings next to Kurt's stationary shrine would only become a sore for Seattlites, their commute, and contributing writers to The Stranger. Month after month, it would be vandalized with misinterpreted song lyrics. Guitar picks would be sprinkled about like litter left from teenagers on a wandering Greyhound pilgrimage. Cigarette butts would be carelessly discarded in a cancerous fairy ring. Eventually some urban myth would surface and after Snopes couldn't fully disprove it, his body would be unearthed for truth and perhaps disappointment. I am not one of those people who believe Courtney killed him. She may have been involved, but I don't believe she put the needle in his arm and his awkward finger on the backwards trigger. Kurt found the ultimate way out. None of this matters to Kurt anymore because it can't. I know I've mentioned it in a few posts in here, but it relieves me to know that at some point, none of this is going to matter. The countless hours of audio recordings from open mics and shows. My kitty. My favorite jeans. Student loans. Politics. This post. None of this will matter in the future, and for whatever reason, that makes me feel incredibly safe. We did drugs because we wanted to find a way out, at least temporarily. Sometimes that temporary exit manifested into a permanent way out. We get so lost in our addictions that we could no longer decipher temporary from permanent. I know some people who simply stopped caring that their addiction could kill them and continued to drink and use while hovering right beneath rock bottom. I know others who had life medically and physically removed from them and were somehow able to regain a heartbeat. I got sober when many didn't. Seattle is in Kurt's sandy bones much like his fervor is in Seattle. Kurt's life and music matter to others, but not to him. Maybe it's the comfort in death which leads addicts to put our toes deeper into the water, one weekend at a time. If we die, none of this matters. For now, be a shoulder. Wow. Very powerful. Thank you for writing this.